Wawatam Lighthouse is an automated, modern lighthouse that guards the harbor of St. Ignace, Michigan in the Straits of Mackinac and takes its name from the late railroad ferry Chief Wawatam, which used this same dock from 1911 through the mid-1980''s. This classic lighthouse started life in 1998 as a Michigan Welcome Center travel icon at Monroe, Michigan. In 2004, the Monroe Welcome Center was being revamped and the lighthouse was put up for relocation. The City of St. Ignace was the lucky recipient and the structure was trucked north in five pieces. Wawatam Lighthouse''s beacon at the new locaton was first lit on August 20, 2006. Visible for more than 13 miles out over Lake Huron, it is now an official aid-to-navigation. The 250 millimeter Fresnel lens casts its light in a 152 degree arc. Love the serenity of this shot! That's a neat lighthouse, and I really like the way you framed it with the pier in the foreground. Super capture! A lighthouse isn't what you think of as transportable! It has a nice look in its new home. Great looking lighthouse and super composition of the image. 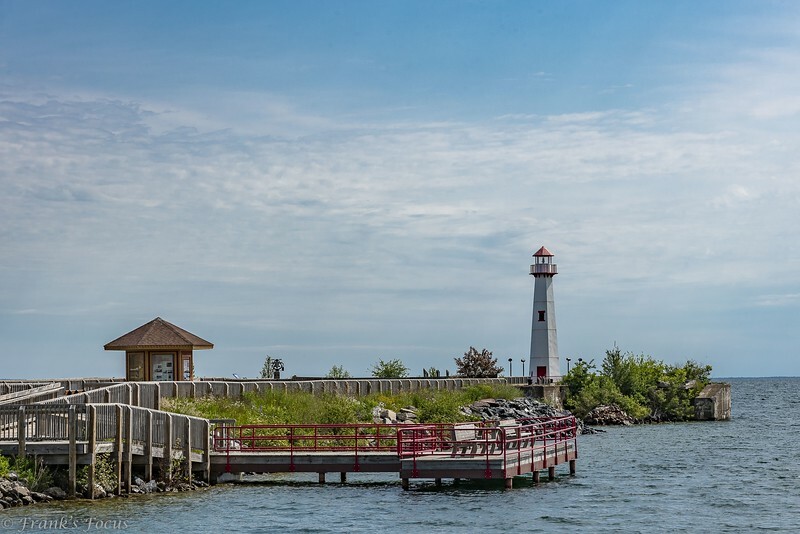 Lovely little lighthouse and park and interesting history!